So, let’s delve into the human side of the future of sales. Sure, there is much research out there that predicts fewer salespeople in the years to come. Forrester Research, for one, forecasts that 1 million B2B salespeople will lose their jobs by 2020. This may happen. Many products and services are just a click away. So much information is available to consumers and buyers just by Googling – the buyer doesn’t need to engage with the salesperson nearly as early as they used to. Before the Internet, buyers relied on the information that sellers provided. Now, in many instances, buyers are far more educated before they even consider talking with a salesperson. As a matter of fact, many marketing automation services would have you believe that their marketing will do all the work to drag customers to you. It will then be easy and fast to close those leads. All you need is people sitting at computers ready to take orders from whomever raises their hand by visiting your website. They don’t even need to be that good. Many CEOs think, “Let’s just hire low-paid staff to follow a script, then the customers will buy and the money will follow.” Well, I have some bad news. This approach is going to cost a lot of money and you will waste much time as you figure out it isn’t working. Many of those low-paid individuals aren’t even comfortable talking on the phone, let alone sounding confident, warm and trustworthy. They would rather text or Snapchat. And, how much money are you prepared to spend to gain the attention of the right potential buyer? Well, the good news is that marketing will absolutely create awareness and might even cause a potential customer to consider your service offerings. Though, unless you are the clear leader in your category and can easily articulate that through your marketing, a salesperson likely still needs to be involved. Think about it, there are all types of services that individuals are comfortable buying online. However, the more complex, the more customized, the more expensive the service or product, the less likely a buyer will click the button to submit their order. Buyers are indeed more educated today and will remain so in the future, by virtue of the fact they have access to more information, compared to the 1980’s, regardless of the complexity of the purchased item or service they may need. However, complex, customized, and/or pricey (in relative terms to the buyer’s budget) sales will continue to require the guidance and collaboration of a true consultative salesperson. Educated me with new ideas or perspectives. Persuaded me we would achieve results. Well, guess what? Delivering these attributes takes an actual person – not a fancy marketing slogan. I suppose one could argue that marketing alone could provide new ideas or perspectives, and may persuade someone that they would achieve results by purchasing. However, marketing will not customize the solution then help the buyer determine whether or not it is the right solution for them. Marketing leaves it up to the buyer to determine that on their own. The truly great salespeople, do this better than anyone. They are considered peers not peddlers. They are collaborative, honest, and trustworthy. They do not just follow a script. We know that only about 7% of the population have these competencies already, the Sales DNA to be able to operate this way, thanks to Objective Management Group and their massive amount of predictive data on over 1 million salespeople. Get tight on your value proposition. You need to truly understand what matters to your customers about your service offerings and make absolutely certain your entire team gets it. Why do customers buy from you? What are your differentiated advantages? Who are you right for? Go deep on this and make sure anyone who interacts with customers and prospects gets it too. This is not a marketing slogan. This is a way of operating. Insure you hire the most appropriate salesperson for the job. Don’t just hire a salesperson. Hire the right salesperson. Some positions require more advanced skill sets than others. Some require a salesperson to weave through a complex sales process while other businesses expect that customers will buy at the initial conversation. These scenarios require different competencies and require different Sales DNA for a salesperson to be successful. Get it right by hiring the right person for your job on the front end. Read this eBook on Sales Hiring if you want to learn more. Ability to connect individually with each salesperson and understand what motivates each, to be able to inspire them. Ability to hold individuals accountable to the right behaviors and activities on an ongoing basis. Ability to help individuals reach greater success through skill practice, observation, coaching and correction. Sales leadership is messy and involves humans, so it requires an individual to get their hands dirty. The most effective sales leaders spend nearly 80% of their time involved with their salespeople, attending to the three items above. Here’s a sample of the type of information important to understand about sales managers. If you truly want a world-class sales team that is effective, cost efficient and gets the job done well into the future, don’t rely on the hope that marketing alone will solve your problem. Use marketing to gain awareness. Then put the best salespeople for your marketplace on the job and insure they are led by true leaders interested in their best success. 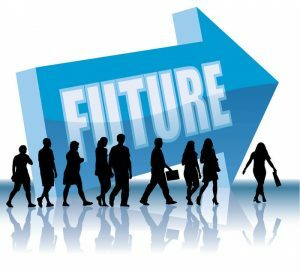 Previous	Our Sales Future – Are You Ready?